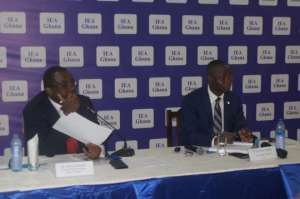 Dr Johnson Asiamah, a former Deputy Governor of the Bank of Ghana (BoG), on Wednesday called for a concerted effort to enhance the effectiveness of the monetary policy regime in the country. Dr Asiamah said in Ghana, the financial markets were still shallow and lacking the feedback loop for a monetary policy stance. He said this means that policymakers could refine as much information as possible from changes in market sentiments such as deriving inflation expectations from the financial markets instead of survey based approach. He made these remarks at the Institute of Economic Affairs (IEA) roundtable in Accra, on the theme; 'Inflation Targeting Under Weak Macroeconomic Fundamentals: Does Ghana Need a Monetary Policy Re-direction? Monetary policy refers to a combination of measures designed to regulate the value, supply and cost of money in an economy, in consonance with expected level of economy activity. The objective of a monetary policy is usually to ensure price and financial stability; and subject to that, to support the Government's economic objectives, including those for growth and employment. The former Deputy Governor said there was still limited availability of data, such as high frequency data on job creation or employment in the country; stating that, if addressed, these could complement existing information available to policymakers regarding developments in the economy. He said thirdly, there was the need to continue working on enhancing the effectiveness of transmission mechanism for monetary policy; declaring that, these includes reforms in the interbank money market and the interbank forex market. Dr Asiamah said 'These together with the broad efforts to address fiscal dominance, improve our resilience to external shocks and also address the impact of administered prices, will go a long way to enhance the effectiveness of our monetary policy framework'. Explaining the theme for the roundtable, Dr Asiamah said it had been just over a decade since the current framework of Inflation Targeting was introduced in the country, and it was appropriate to evaluate its effectiveness and to offer views on the way forward. He said clearly, Ghana's framework for Monetary Policy had changed over the years, in response to changes in economic conditions. 'As you will recall, there were direct controls, prior to 1992, then to the period of market based indirect monetary policy (monetary targeting) from 1992 until 2002 when the inflation targeting started,' he said. He said the full adoption of the inflation targeting started in 2007, and this was consistent with moves in other peer lower-middle income countries. He noted that looking back over the last decade, it was apparent that a number of shocks had been driving the dynamics; these include fiscal dominance, the pass-through effects of currency depreciation, upward adjustments in utility tariffs and prices of petroleum products, and increase in transport fares. 'So, until we are able to address these factors, whatever monetary policy framework we have in place will continue to suffer from the impact of these shocks,' Dr Asiamah stated. On the usual criticisms on inflation targeting regarding its perceived narrow focus, he said the country's framework was one that focuses on the entire macro set of variables. Dr Asiamah said the BoG Monetary Policy Committee reviews developments in inflation, the global economy, the real sector, the monetary sector, the fiscal sector, the external sector, consumer and business sentiments and inflation expectations. He said the focus model used for the inflation forecast was also calibrated to capture developments across the economy and therefore, the narrow scope argument was not supported in practice. 'Of course, I am not saying that monetary policy cannot be used to achieve other competing goals. It may indeed, be used for other objectives that go beyond maintaining price stability, such as preventing exchange rate crises and supporting credit growth,' he said. 'The lesson from best practices however, is that the pass-through from the policy rate to interbank market is usually weaker in countries where multiple and sometimes conflicting goals are pursued,' Dr Asiamah added. Dr Eric Osei-Assibey, Adjunct Senior Fellow at the IEA, delivered the keynote for the discussion.